These are the easiest shoes in my closet, the ones I reach for when I have to take the dogs for a spin, or for walking all over the city. They don’t add much in the way of height, but you can’t beat them for comfort, and they’re a nice way to show off a good pedicure. This crisscross pair is so bright and happy. 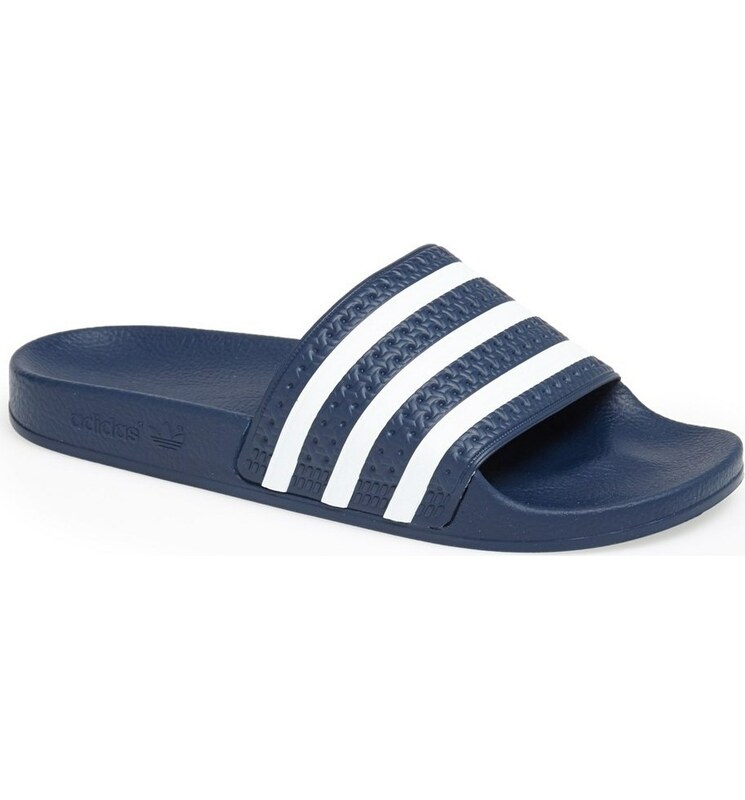 You can’t go wrong with the classic pool slide from Adidas. This knotted option comes in a pretty good peachy pink too, but I feel like the black would be more versatile. Here is a color that would pretty much go with everything. I like the muted metallic on this one, and the fact that it’s super-cheap. It comes in white too, which is worth considering as the smart money is on never spending a fortune on white shoes. I like to think of army green, like on this double-buckle slide, as a neutral. 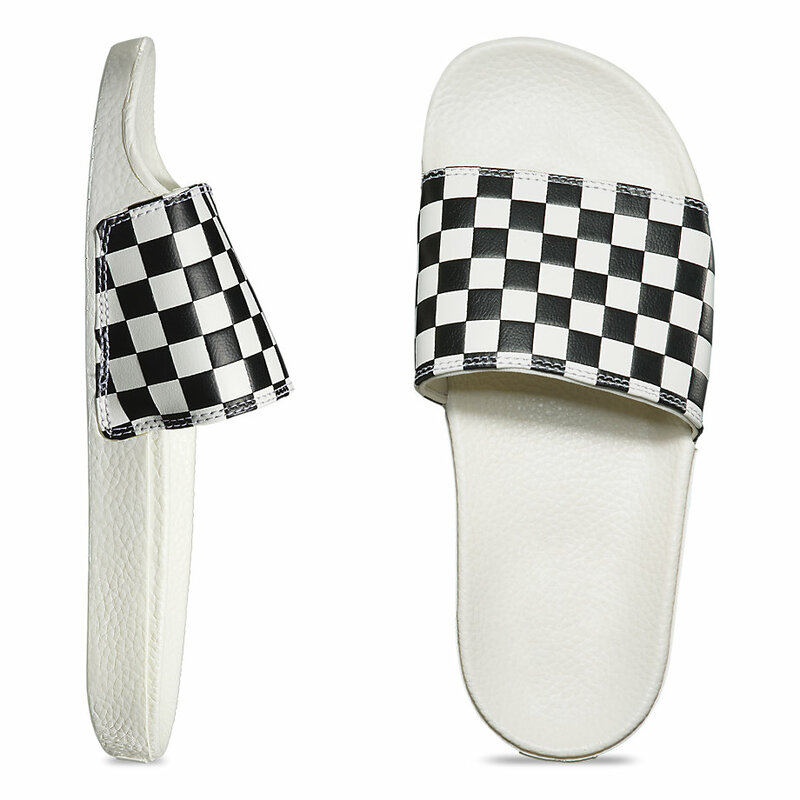 How adorably loud are these Vans slides? I remain intrigued by the notion of Dr Scholl’s: they’re hell to walk in, but I’ve always thought they were great-looking. At this point, I think we can call German orthopedic Worishofers classics, and they’re like walking on a cloud. Perfect for travel. This striped number is so beachy and fun, and well-priced too. 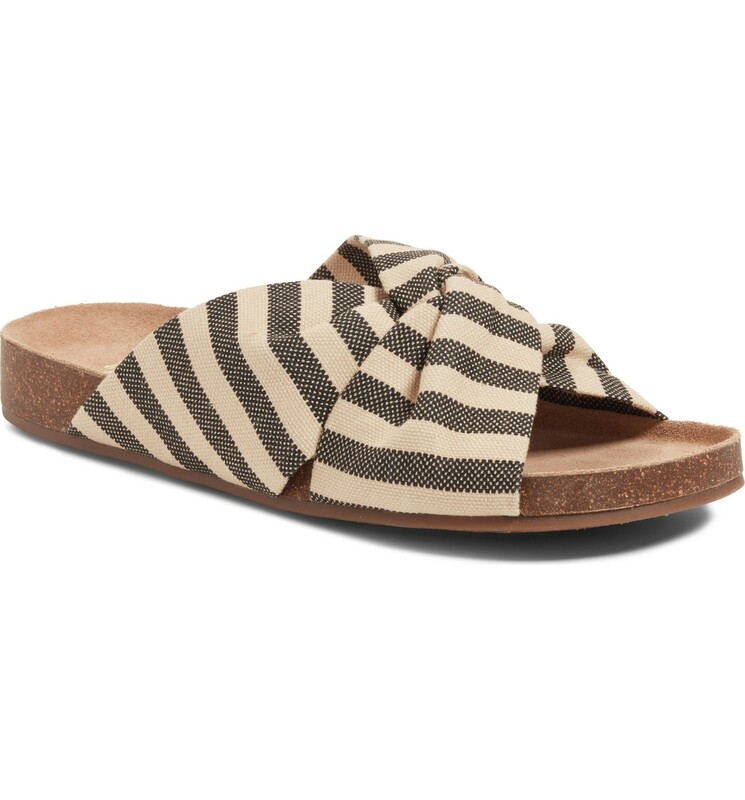 A spendy choice from Isabel Marant that couldn’t be a whole lot cuter. 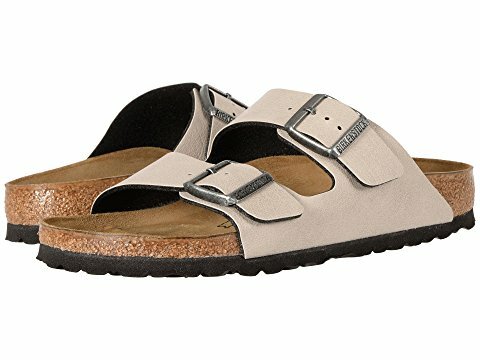 The stone hue of these Birkenstocks lightens them up a bit, I think. OK, this is somewhat silly, but I feel like it would always put a smile on your face, and how much footwear can you say that about? A slightly modish silver pair that could be dressed way up if you were in the mood. This is a pretty much perfect option for dresses. 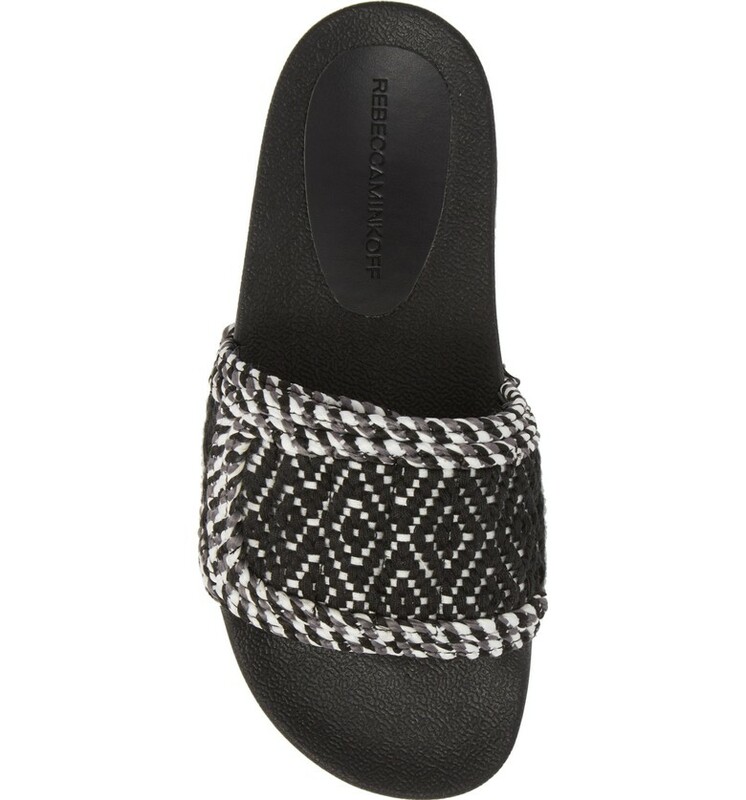 And this woven pair will look fantastic once it’s a little broken in. 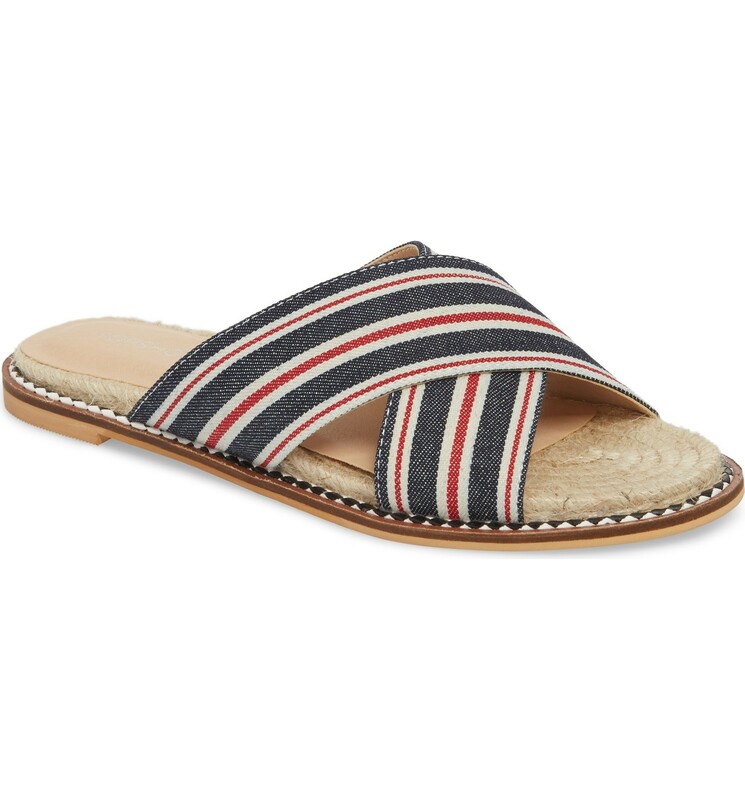 How snappy is this red, white, and blue striped pair? Maybe as cute as this braided one. I love the tweedy fabrication here. And this Mexican-inspired slide is so graphic. 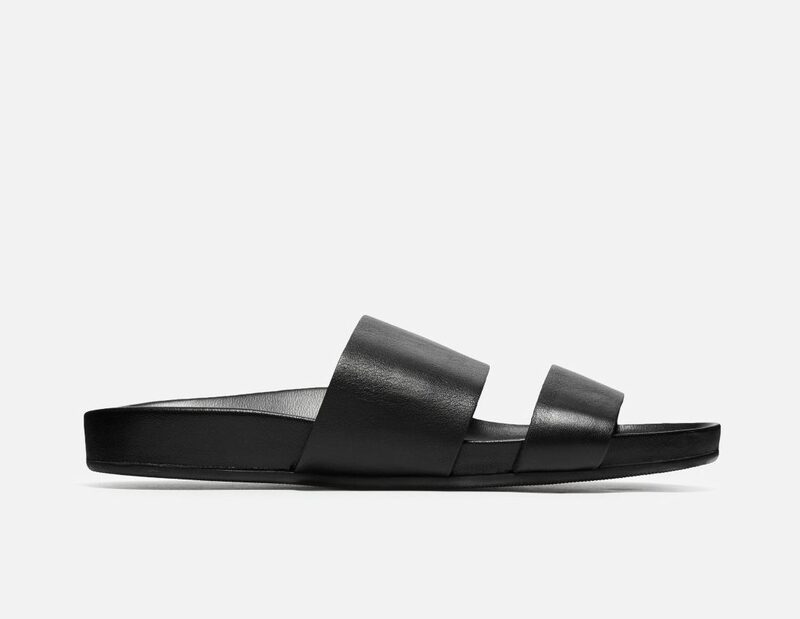 I bought the Everlane black two-strap slide and they are fantastic. Feel like Birkenstocks, but slightly less casual. Went back for the wide strap slide in the maroon color. I’ve been wondering about those…good report! I've been wondering about those...good report! I’ve been wondering about those also! I LOVE this post!!! I love those stone leather Birks! I’m not really a sports person, but you did hit this post out of the park! So many great choices too few feet!! I'm not really a sports person, but you did hit this post out of the park! So many great choices too few feet!! I would be lost without my Adidas pool slides! They rarely leave the house but they are in almost constant rotation. I love that I can add socks and keep wearing them into winter. I had a terrible, multi-year bout of plantar fasciitis many years ago and the arch support in these has been a godsend. I am pedicured year round. I run (a lot) and I like them to look as good as they can. But I’m more up on it during the summer (as in, appointments closer together, etc). I am pedicured year round. I run (a lot) and I like them to look as good as they can. But I'm more up on it during the summer (as in, appointments closer together, etc). Pedicure every couple of weeks in the summer, plus one of those pumice stone on a stick things when I shower. And, Cerave SA cream is really good on feet. Same – regular pedis yearround. Yoga helps since people see your feet; it sort of makes you keep up with them. I also slather with foot cream and night and use a cheese-grater-type thing in the shower (disgusting, but it works). Same - regular pedis yearround. Yoga helps since people see your feet; it sort of makes you keep up with them. I also slather with foot cream and night and use a cheese-grater-type thing in the shower (disgusting, but it works). Living in Southern California, I am pedicured all year round. I go about once every 5 weeks and maintain things in between with that callus thingy that Kim raved about a while back and liberal applications of Gold Bond foot cream. I remember seeing Kim’s callus thingy, but I can’t find it now. Does anyone have a link? Ty!! I remember seeing Kim's callus thingy, but I can't find it now. Does anyone have a link? Ty!! Then I’ll do 2 coats of color. I usually try to wait 20 minutes between coats. I’ll watch The Real Housewives or something to keep from wrecking them, lol. When that’s all dry I hit them with the Sally Hansen Quick Dry stuff in the red bottle. Sometimes I’ll wait till the next day to do that top coat. I’ve been known to stretch the entire project over the span of 2 or 3 days, doing a little at a time. As long as I don’t go sockless in closed-toe shoes, I’m golden for weeks. If I see a chip I’ll just do a quick repair and add more topcoat. My nails will usually grow out before the polish wears or chips off. For a treat, I'll occasionally get a pedicure, but I generally do my own nails. Whatever polish I use stays on in great condition if before I apply anything, I: Use cuticle-dissolving gel Run a buffing file over the surface--lightly!--to smooth any ridges Clean the toes up with remover right before polishing Then I'll do 2 coats of color. I usually try to wait 20 minutes between coats. I'll watch The Real Housewives or something to keep from wrecking them, lol. When that's all dry I hit them with the Sally Hansen Quick Dry stuff in the red bottle. Sometimes I'll wait till the next day to do that top coat. I've been known to stretch the entire project over the span of 2 or 3 days, doing a little at a time. As long as I don't go sockless in closed-toe shoes, I'm golden for weeks. If I see a chip I'll just do a quick repair and add more topcoat. My nails will usually grow out before the polish wears or chips off. Great options. The Madewells caught my eye in the store. I adore the look of slides. I badly want the Adidas Adilette in floral/polka dot. I have no idea what’s wrong with me, but I can’t get any of them to stay on my feet. Tried on the Adilette with the same issue. Narrow issue? I brought my Arizona Birks to the cobbler and had another hole added so I can get a better fit. However, being a decidedly sporty person, I did get the Adidas Adissage slides as a consolation prize. The velcro is clutch, in case that helps anyone else! I adore the look of slides. I badly want the Adidas Adilette in floral/polka dot. I have no idea what's wrong with me, but I can't get any of them to stay on my feet. Tried on the Adilette with the same issue. Narrow issue? I brought my Arizona Birks to the cobbler and had another hole added so I can get a better fit. However, being a decidedly sporty person, I did get the Adidas Adissage slides as a consolation prize. The velcro is clutch, in case that helps anyone else! Ohhhh! 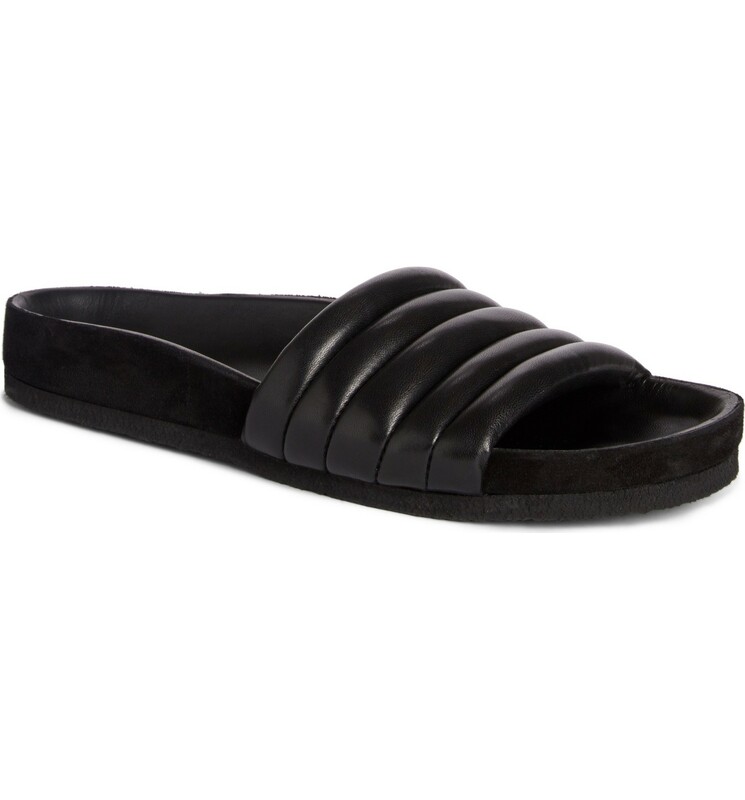 I’m wearing my super comfy Topshop black suede slides with minimal 1.5″ heel from last year today & thinking, gee, these are never going to last me the summer. I walk a *lot* and I can’t really do sneakers for work (well, except the white Superga ones with the macrame stuff around them), and my other shoes are making blisters. What should I do? 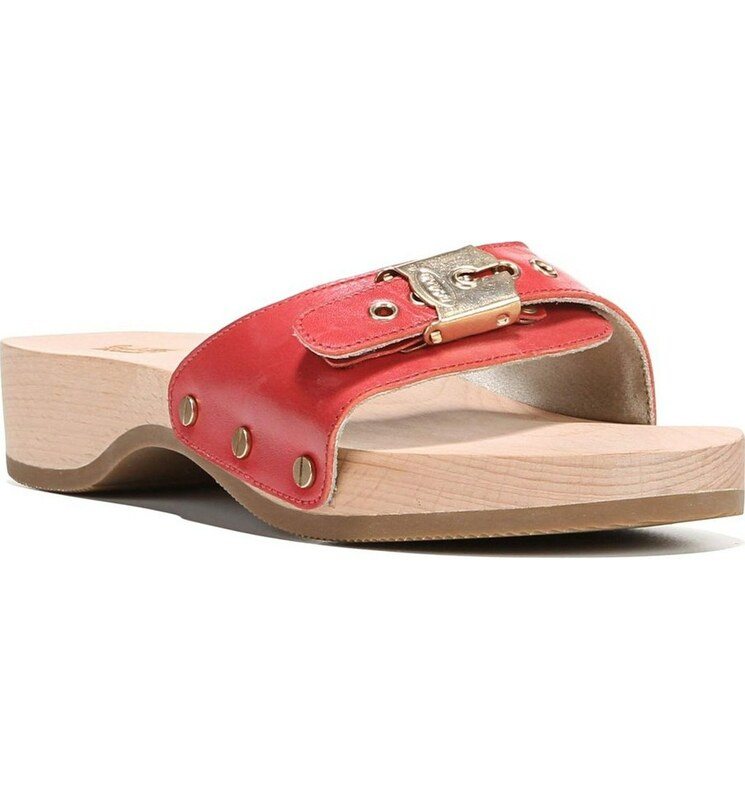 I went to snarf up those metallic slides from Nordstrom, which are sold out in metallic & in black in 8.5 but they did have a jazzy looking red. The reviews look excellent. Done! Ohhhh! I'm wearing my super comfy Topshop black suede slides with minimal 1.5" heel from last year today & thinking, gee, these are never going to last me the summer. I walk a *lot* and I can't really do sneakers for work (well, except the white Superga ones with the macrame stuff around them), and my other shoes are making blisters. What should I do? 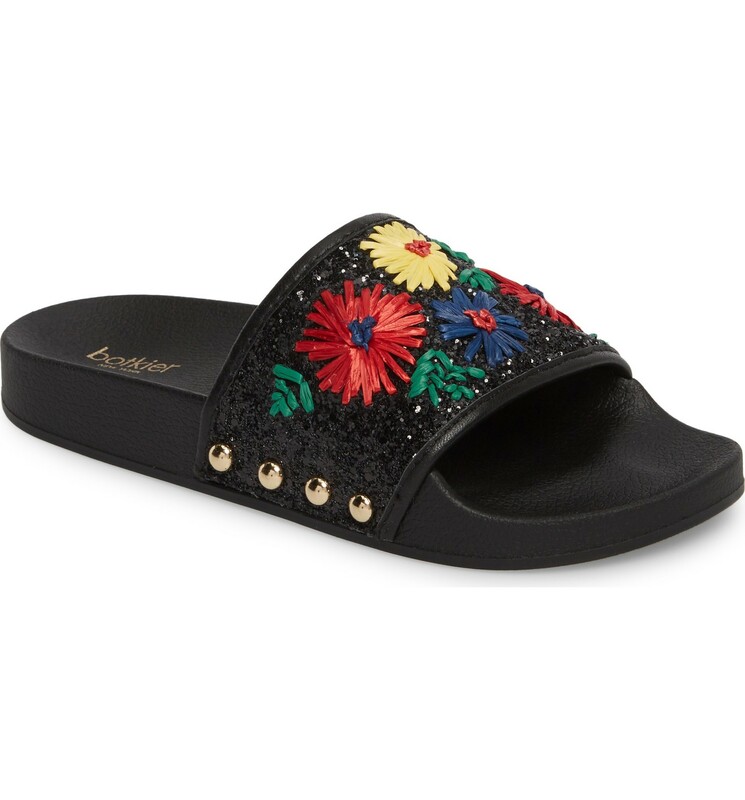 I went to snarf up those metallic slides from Nordstrom, which are sold out in metallic & in black in 8.5 but they did have a jazzy looking red. The reviews look excellent. Done! 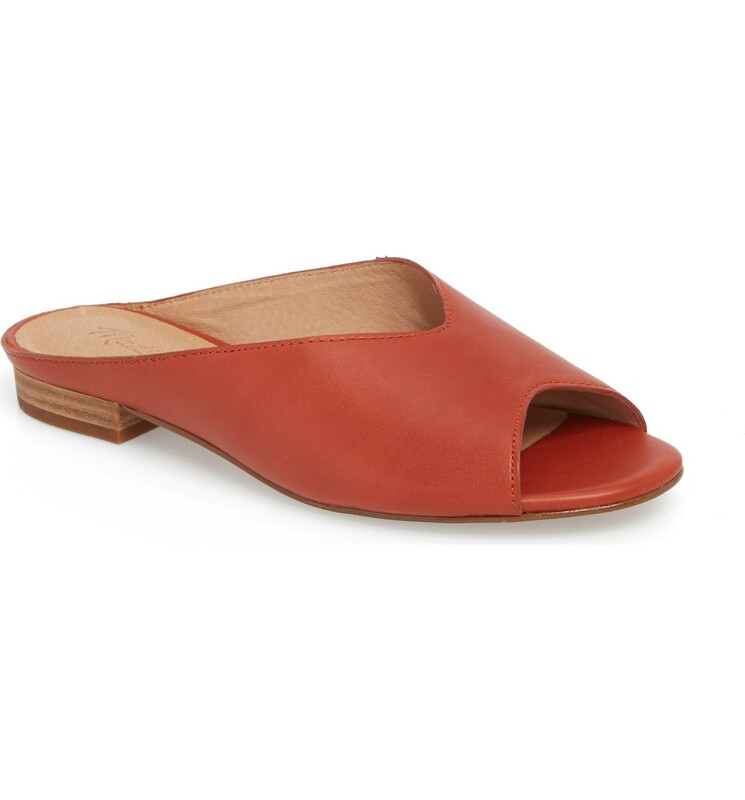 I have those Ancient Greek sandals in brown leather and I love them, but FYI: zero arch support or padding so not the best for days when you’ll be walking all day. 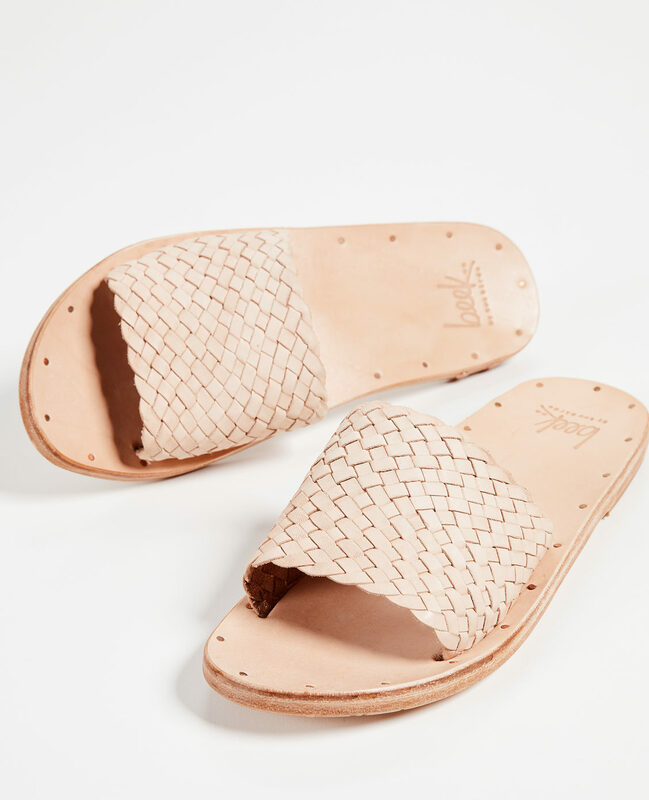 I have those Ancient Greek sandals in brown leather and I love them, but FYI: zero arch support or padding so not the best for days when you'll be walking all day. 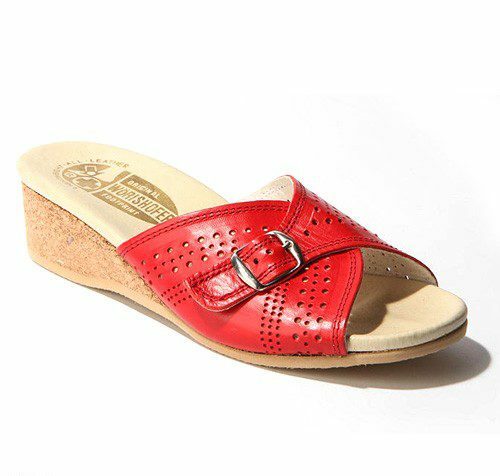 I had those Dr Scholls sandals when I was in high school in the late 70s. Everyone I knew wore them! You could buy them at the drugstore. I loved them then and I am tempted to get them again. The wood sole and the toe “bump” take getting used to, but I found them to be very comfortable. I am adding to my first message. Having read the comments on the Nordstrom website I now realize that this reboot is unfortunately not like the original—key being the absence of the bump that you gripped with your toes as you walked. That was essential to the comfort of the sandal. Now looking at the photo I see the difference. Bummer. Yikes, I’m in the minority again! 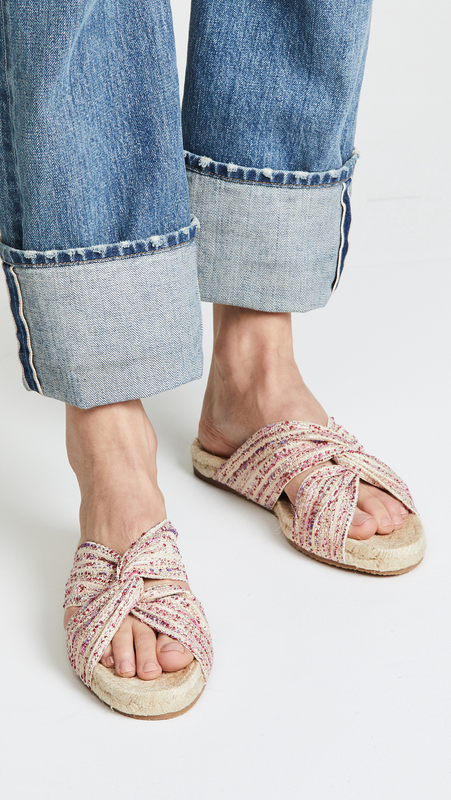 Aside from mom jeans and mules, this is my least favorite trend to come round in a long, long time. These are just fancy bathroom slippers for heaven’s sake. Just the slap-slap-slip-slip noise they make…ugh. I do love a good flip flop though. Yikes, I'm in the minority again! 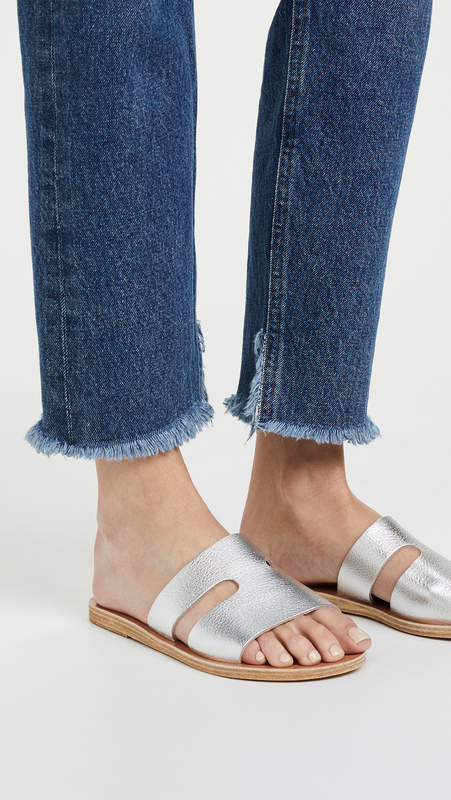 Aside from mom jeans and mules, this is my least favorite trend to come round in a long, long time. These are just fancy bathroom slippers for heaven's sake. Just the slap-slap-slip-slip noise they make...ugh. I do love a good flip flop though. You lost me on this one. I see Adidas slides and I think college football players with turf toe. I’ll stick to my Jack Rogers sandals. You lost me on this one. I see Adidas slides and I think college football players with turf toe. I'll stick to my Jack Rogers sandals. Any other M. Gemi shoes I should consider? 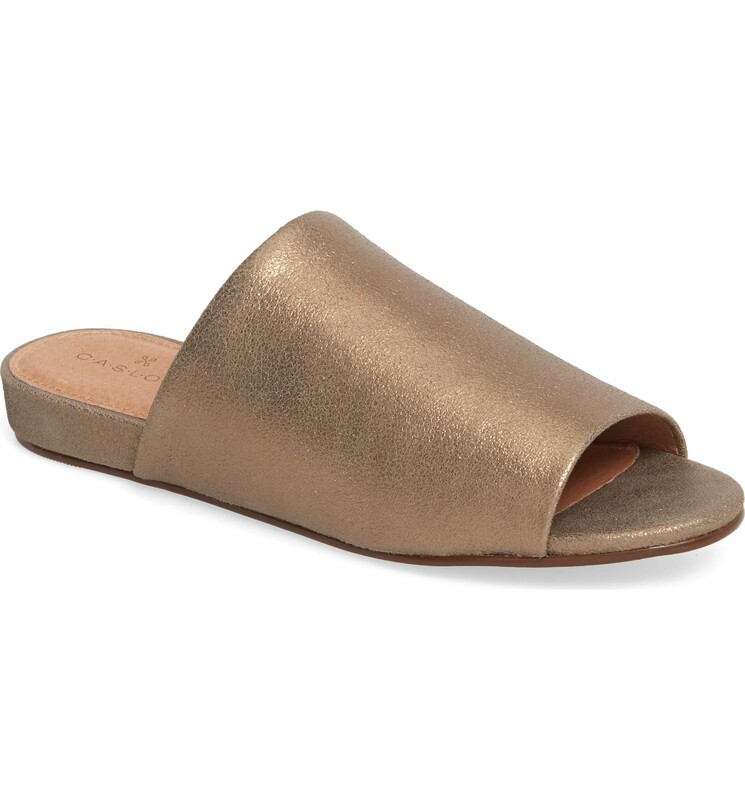 Just got my first pair of M. Gemi slides, the Pietra in gold - they are beautiful and much, much, much more $$$ than I usually spend on sandals. Heading it Italy this summer so I figured why not look good and feel good :) Any other M. Gemi shoes I should consider? My footwear of choice this summer is shaking out to be a pair I found that have the look of the classic Dr. Scholl’s slide, but they are made by Crocs, of all people. They’re super light-weight, water-proof (and I haven’t tested it but I wouldn’t be at all surprised if they float). And SO comfortable! 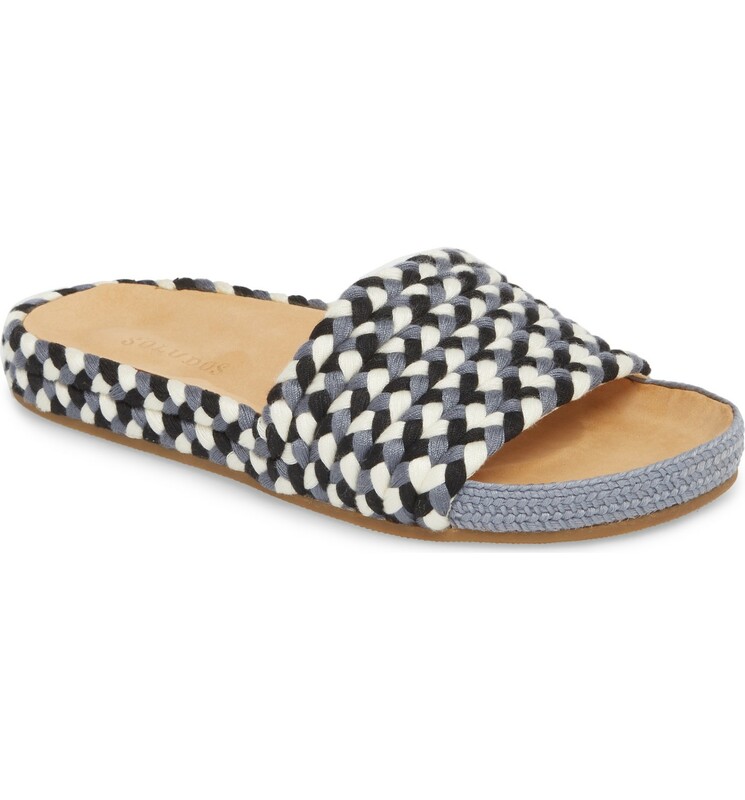 My footwear of choice this summer is shaking out to be a pair I found that have the look of the classic Dr. Scholl's slide, but they are made by Crocs, of all people. They're super light-weight, water-proof (and I haven't tested it but I wouldn't be at all surprised if they float). And SO comfortable!